Pre-SIHH 2018: Here’s the first Look at the IWC Tribute to Pallweber Edition “150 Years” Jump Hour and jump minute wristwatch. Next year, IWC Schaffhausen celebrates its 150th anniversary. The Swiss brand – founded by Bostonian Florentine Ariosto Jones in 1868 – now pays homage to its past and to the rich history of watchmaking with stunning new Jubilee watches in honor of its anniversary. While there are 17 limited-edition pieces, we are most thrilled with the incredible IWC Tribute to Pallweber Edition “150 Years” watch (Ref. IW505002). Crafted in 18-karat 5N rose gold, the technically advanced watch is the brand’s first ever wristwatch to house and original digital hours and minutes display – in the same configuration as it was built on the famed Pallweber pocket watches of 1884 that IWC created. The jumping numerals on the beautiful white lacquered dial are harmoniously designed with the small hours aperture at 12:00, the minutes aperture (via two windows) beneath it at the center of the watch, and the circular sub-seconds dial with outer track resides at the bottom at 6 o’clock. It is a clean, crisp digital indication of time via rotating disks. The all-new movement for the IWC Tribute to Pallweber Edition 150 Years watch has a patent pending for the ingenious mechanism. Tribute to Pallweber Edition “150 Years” Jump Hour and jump minute wristwatch. Even when IWC used this method to display time back in 1884, it was revolutionary. Today, it seems also to be a revolution and an evolution of time. The IWC Tribute to Pallweber Edition “150 Years” watch houses a new in-house-made movement, the 94200 caliber, which has a patent pending. The thing about a jump hour watch, let alone a jump hour and jump minute, is that the watchmaker’s challenge is building in enough energy to “jump” those indications at a synchronized time. This is not as easy as pushing a hand forward. As such, the watchmakers developed a solution for the sophisticated display. The early Pallweber pocket watches used toothed cogs to move the disks, however, in the new wristwatch, the impulse that advances the single-minute portion of the minute disk is supplied by a separate wheel train with its own barrel. There is an ingenious release mechanism that unlocks the watch’s main wheel train every 60 seconds – enabling the jump ahead by one minute. After a full 10 minutes, the single-minute disc moves in concert with the 10-minute disk. On the 60th minute, the hour ring jumps ahead to the next numeral. The watch is equipped with 60 hours of power reserve thanks to the fact that the wheel train moving the minutes does not influence its main wheel train. 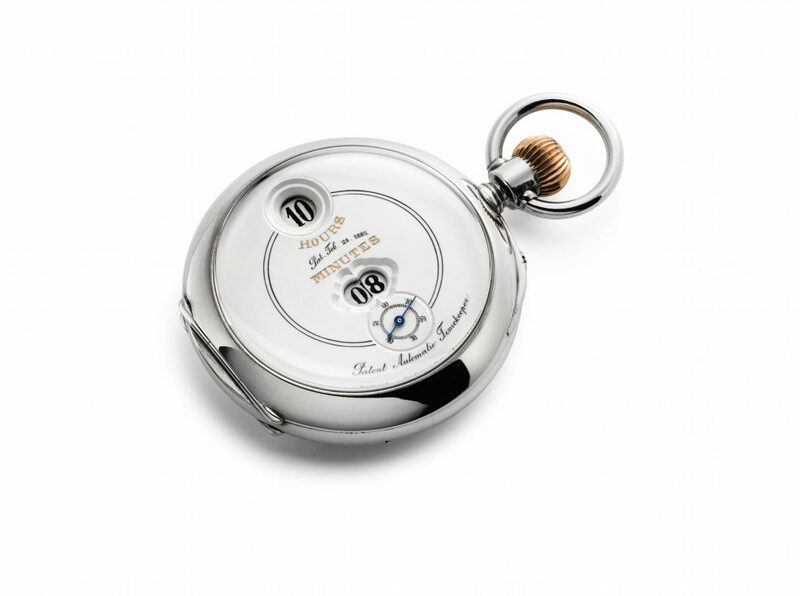 The new IWC Tribute to Pallweber 150 Years wristwatch takes its inspiration from the 1886 Savonnette Pocket Watch Pallweber made by IWC. 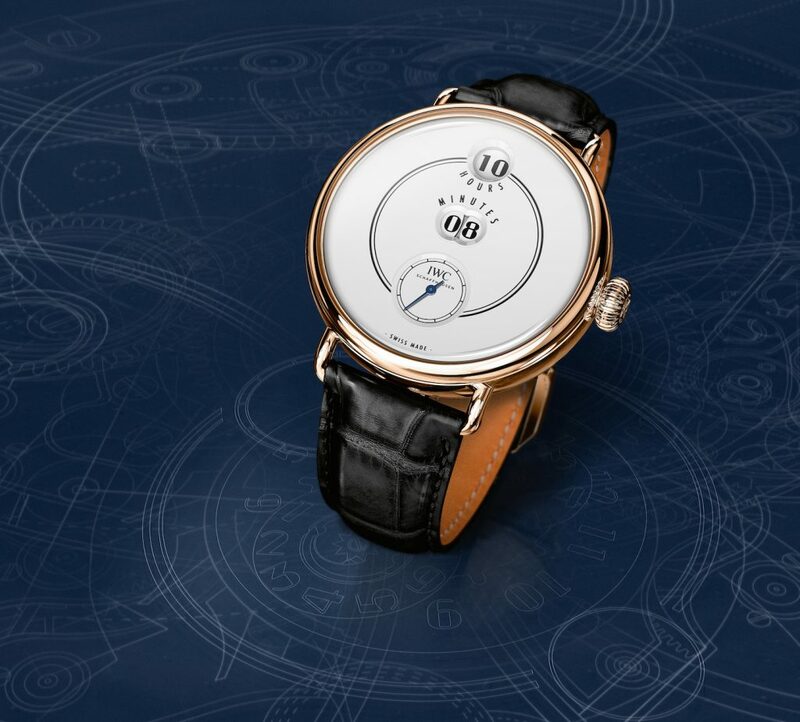 It was the result of a deal between IWC and Joseph Pallweber in 1884, wherein IWC secured the rights to the Pallweber system. The IWC Tribute to Pallweber Edition 150 Years watch, like all of the 150th anniversary pieces, features a lacquered dial with blued seconds hand and blued numerals and accents. 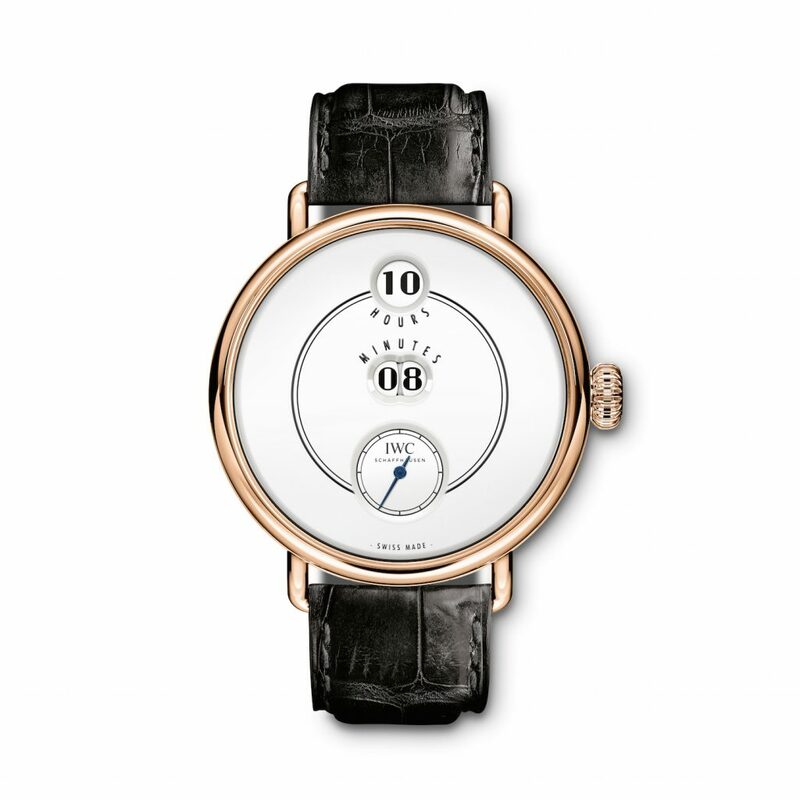 Referencing the historical piece designed by Pallweber and made by IWC via F.A. Jones, the windows of the hours and minutes apertures are labeled. Just 250 pieces will be made with a white lacquer dial and blue accents – each retailing for an incredible price of just about $36,600. “Our founder’s entrepreneurial spirit and his untiring quest for engineering excellence have left a lasting impression on IWC,” says Christoph Grainger-Herr, CEO of IWC. “To this day, our watches combine precision engineering with design that is as unusual as it is timeless. Our Jubilee collection revisits icons from the past years of IWC and unifies them through a timeless design code to form a single striking collection.” In fact, each of the watches in the Jubilee collection – including Portugieser and DaVinci watches and others –bear a similar color-coding of white or blue with lacquer and enamel dials. According to Christian Knoop, creative director at IWC, the dials are coated with 12 layers of lacquer, flat polished, brushed and then imprinted several times. “We drew our inspiration from the unusual aesthetic appeal of the enamel dials used for the historic Pallweber watches,” says Knoop. Stay tuned; we will be brining you more about this exciting series.